In context of Shura proposal #3, Vancouver Imarat Education Dept. 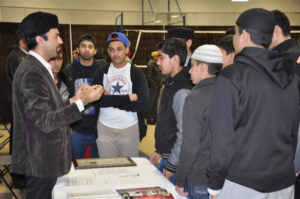 has Alhamdulillah started Career Mentorship program and established Vancouver Education Desk. We planned an event that took place on January 18th, 2015. The event was named 1st Educators Conference. 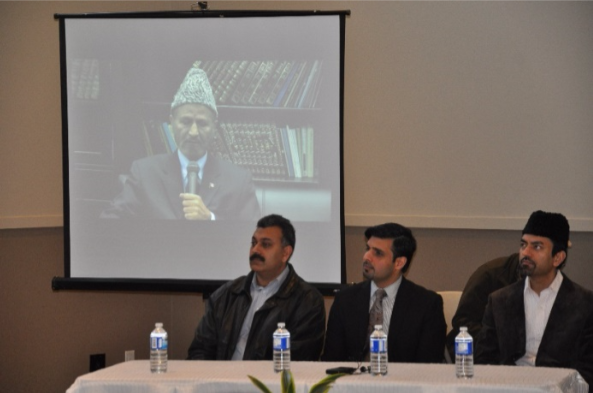 This program was comprised of various talks that were delivered by renowned Ahmadi professionals from various fields. 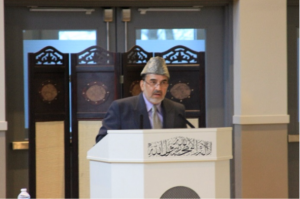 We compiled a list of contacts of Ahmadi professionals, men and women, and highlighted the leading professionals. The agenda and targets were shared with the professionals under discussion. We created an email ccount (education.imarat@gmail.com), so that students and parents can access the services provided by Vancouver Education Desk and Career Mentorship program. We collaborated with MTA Vancouver, and recorded an 8-minute video that documented Khalifahtul Masih III’s insistence on the acquisition of higher education. This video basically summarized the Ahmadiyya Centennial Education Plan that was presented by Khalifahtul Masih III in one of his 1979 sermons. A request was made the National Amir Canada for a special message for this particular event. Our respected National Amir provided us with a 3-minute video message. This message was relayed during the program. 1st Educator’s Conference was made possible by the joint effort of Department of Public Affairs, and Department of Education, all Halqa Secretaries Education were part of the event committee. Lajna and Khuddam auxiliaries also played a vital role in the success of this event. This event consisted of two parts: (1) In light of the Shura proposal #3, idea of the Career Mentorship Program and Vancouver Education Desk was highlighted, and explained by Secretary Public Affairs, Dr. Waseem Bashir. Top professionals; Mr. Luqman Shaheen (Engineer), Mr. Irfan Ch (Information Technology), Mr. Bilal Khokar (Religious studies), Mr. Nafees Ch (Accounting), Mr. Imtiaz Ch (Banking and Finances), and Dr. Waseem Bashir (Medicine and Allied Health Sciences) and Mr. Lutuf ul Manan Bajwa (Pharmacy) were called to the head desk. This similar process also took place on the ladies side. In the 2nd presentation, the biographical data of these professionals were read aloud for both sides. 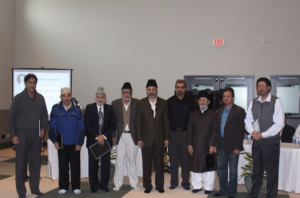 Education Department also received pledges of $2000 by 4 Jama’at members. This sum will be used as an award or prize for students who will achieve outstanding academic success. 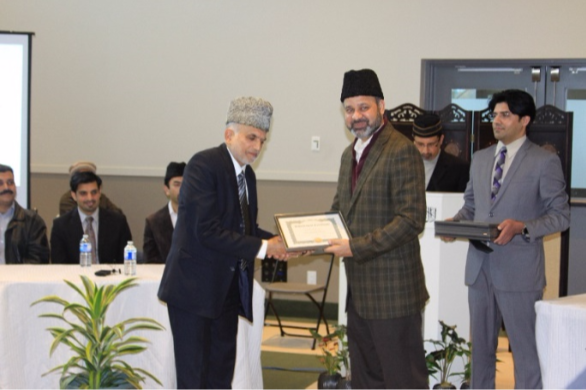 During the event, 8 senior male and 6 female professionals were recognized for their academic and professional achievements with certificate. In the second session all participants went to round table area. All professionals on both sides were available with their contact information on their respective desks. 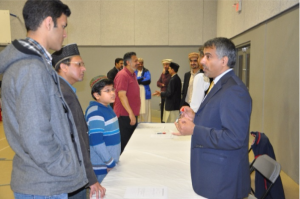 All students on both sides were encouraged to socialize with leading Ahmadi professionals, exchange contact for further guidance. 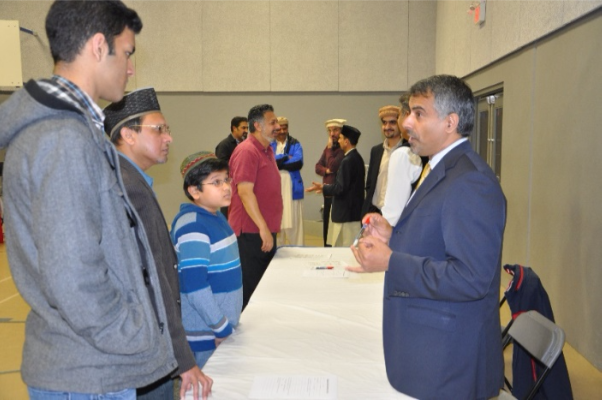 This part of the event was very interactive and productive. 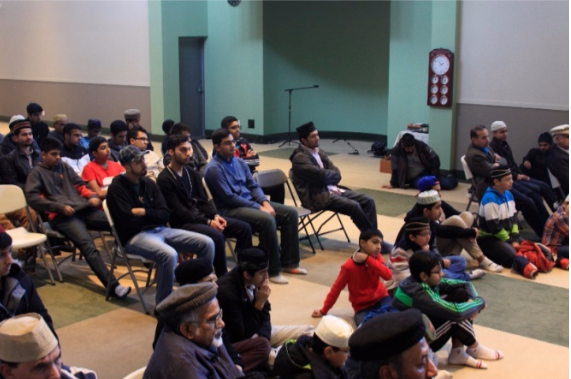 The attendance of program was over 180 members for both sides.